Worldwide between ten and twenty percent of older people report experiencing mild cognitive impairments and some 46.8 million people are estimated to be living with dementia (Alzheimer’s Association, 2015; Prince et al., 2015). Researchers argue that cognitive decline is often due to the deterioration of neurons throughout an individual’s life and/or brain pathologies which lead to more severe cognitive deteriorations (Poranen- Clark et al., 2015; Vance & Crowe, 2006). Although mild declines in memory, psychomotor abilities, speed of processing, and concentration are typically seen as a normal part of ageing, these declines can interfere with the abilities to process information and function effectively and independently within their environments (Blazer, Yaffe, & Liverman, 2015; Vance & Crowe, 2006). Finding ways that mitigate cognitive ageing and severe cognitive deterioration is imperative and is a global public health concern (Blazer, Yaffe, & Liverman, 2015; Vance & Crowe, 2006). The effects of cognitive ageing and more severe cognitive pathologies not only impact the individual but also their family, community, social services, and health services. Just in the United States it was estimated that as of 2011 more than 10 million family members were providing unpaid care to individuals with cognitive impairments (Centers for Disease Control and Prevention, 2011). Furthermore, as of 2015 it was estimated that the cost of dementia worldwide was US$818 billion (Prince et al., 2015). 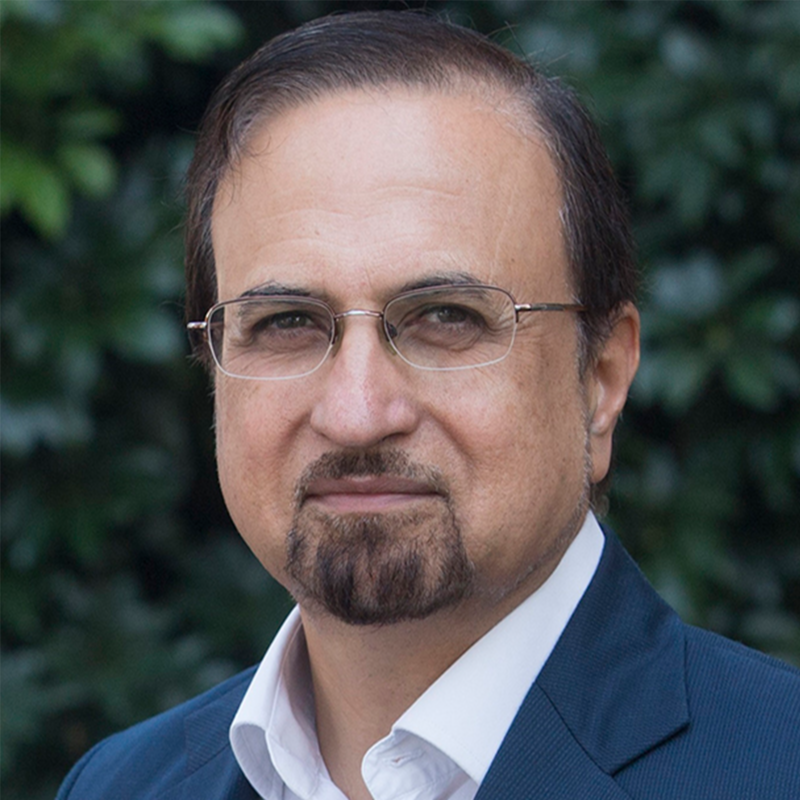 Unfortunately, efforts to develop interventions that will stop the progression of cognitive ageing or find cures for more severe cognitive pathologies have been ongoing for many years, are expensive and yet to provide long term effective results (Gonzalez, Tarraf, Bowen, Johnson-Jennings, & Fisher, 2013). Thus, it has become a new priority to identify interventions that are low cost, accessible to most people, and offer a promise of: reducing cognitive ageing and more severe cognitive pathologies worldwide or enhancing cognitive function that will enable the use of alternative neuronal interconnections in order to compensate for changes caused by cognitive ageing and more severe cognitive pathologies (Gonzalez, Tarraf, Bowen, Johnson-Jennings, & Fisher, 2013; L. Clare, personal communication, July 28, 2016). At the moment, one of these interventions is to address and implement the various protective factors that maintain and increase older people’s cognitive reserve and address the risk factors that decrease cognitive reserve (Blazer, Yaffe, & Liverman, 2015; Borenstein, Copenhaver, & Mortimer, 2006; Gonzalez, Tarraf, Bowen, Johnson-Jennings, & Fisher, 2013; Opdebeeck, Martyr, & Clare, 2016, p. 40; Opdebeeck, Quinn, Nelis, & Clare, 2015; Poranen-Clark et al., 2015; Vance & Crowe, 2006). Cognitive Reserve has been defined as “the ability to optimize or maximize performance through differential recruitment of brain networks” (Stern, 2002, p. 451). The concept of cognitive reserve was developed to explain why some individuals regardless of considerable brain damage/pathology did not have any observable signs or symptoms (Opdebeeck, Martyr, & Clare, 2016; Opdebeeck, Quinn, Nelis, & Clare, 2015; Stern, 2002). Researchers believe that cognitive reserve is due to a combination of greater proliferation and connection of neurons in the brain acquired from a lifetime exposure to cognitively stimulating experiences (Opdebeeck, Quinn, Nelis, & Clare, 2015; Poranen-Clark et al., 2015; Stern, 2002; Vance & Crowe, 2006). As a result of this greater proliferation and connection of neurons, when cognitive decline occurs there is a cognitive compensation in which alternate connections and problem solving strategies are used (Poranen-Clark et al., 2015; Stern, 2002; Vance & Crowe, 2006). There are two models of Cognitive Reserve. The first model is known as “the passive model” and it refers to the relationship between one’s brain physiology (e.g. brain size, neuronal count) and the ability to endure more brain pathology/damage before any symptoms are observed. The second model is known as the “active model” which refers to the role experiences, such as education and engagement in more complex occupations that serve as a safeguard against brain damage. The second model of cognitive reserve is also known as “behavioural brain reserve” (Opdebeeck, Martyr, & Clare, 2016). Modifiable health factors – related with cognitive function including medical conditions, dietary factors, exercise, and substance use. Changing modifiable health factors is one way of maintaining cognitive reserve throughout one’s life and older age (Mukamal et al., 2003; Vance & Crowe, 2008). Education – identified as one of the most important predictors of cognitive function in later life. Research has found that older people who have acquired higher levels of education do better on cognitive testing and are at lower risk of age-related cognitive decline and more severe cognitive pathologies. It has been argued that the reason for this is that education promotes the formation of neural connections and/or represents the tendency of individuals engaging in mentally stimulating activities throughout an individual’s life (Borenstein, Copenhaver, & Mortimer, 2006; Gonzalez, Tarraf, Bowen, Johnson-Jennings, & Fisher, 2013; Lenehan et al., 2016; Opdebeeck, Martyr, & Clare, 2016; Opdebeeck, Quinn, Nelis, & Clare, 2015; Poranen-Clark et al., 2015; Vance & Crowe, 2006). Social support – research on animals has shown that increased social interactions result in increased synaptic density, increased thickness of the cerebral cortex, and greater neuroplasticity (Sanderman & Sanderman, 2000; Vance & Crowe, 2006). In human research it has been observed that the more extensive one’s social network is or the more socially integrated one is, the lower the risk of dementia in later life (Corsentino, Collins, Sachs-Ericsson & Blazer, 2009; Vance & Crowe, 2006; Yaffe et al., 2009). Positive affect – particularly with older people, depression and negative affect has been associated with the decline of cognitive function (Vance & Crowe, 2006; Opdebeeck, Quinn, Nelis, & Clare; 2015) and while depression can in some cases be an integral part of or a psychological response to cognitive decline, in general the experience of depression constitutes a risk factor for cognitive decline (Opdebeeck et al., 2015). Stimulating activities/novel experiences – engagement in new and/or intellectually stimulating activities can stimulate cognitive function. Several researchers have found that engagement in intellectually stimulating activities delays the onset of Alzheimer’s disease (Borenstein, Copenhaver, & Mortimer, 2006; Vance & Crowe, 2006; Yaffe et al., 2009). Cognitive training – although the evidence on cognitive training and cognitive reserve has been mixed, the use of cognitive training techniques has been shown to improve cognitive function. While training is typically found to enhance performance only on trained tasks, some evidence for longer-term benefits is starting to emerge. Rebok et al. (2014) found that ten to fourteen weeks of scheduled cognitive training in older people resulted in significant benefits in cognitive function and instrumental activities of daily living compared to older people who did not engage in cognitive training ten years later. Level B: represents the connection between physiological health and neuroplasticity (poor health is related to poor neuroplasticity). Level C: represents the connection between neuroplasticity and morphological changes (a more malleable brain is related to occurrence of more morphological changes). Level D: represents the connection between morphological changes and cognitive reserve (positive morphological change is related to increase cognitive reserve). The permeability between each level represents the amount of change that one level can exert upon another. Thus, as one level expands or shrinks the other levels also expand or shrink. The implementation of mitigating factors is vied to strengthen each level which will in turn enhance in a measurable way cognitive reserve. Focusing on implementing more than one mitigating factor would therefore be more effective than just focusing on one. Researchers suggest that the synergy of combining all levels would promote greater neuroplasticity and maintain cognitive reserve well into older adulthood (Vance & Crowe, 2006). Figure 1: A proposed model of neuroplasticity and cognitive reserve. Retrieved from Vance & Crowe, 2006. Researchers have argued that in order to build, increase, and maintain cognitive reserve, it is imperative that initiatives be implemented from infancy in order to safeguard brain development (Borenstein, Copenhaver, & Mortimer, 2006; Gonzalez, Tarraf, Bowen, Johnson-Jennings, & Fisher, 2013; Poranen-Clark et al., 2015). For instance, Borenstein, Copenhaver, and Mortimer (2006) argue that poor intrauterine environment, for example malnourishment or exposure to chemical substances, neglect, and lack of stimulation during infancy up to the age of six years (by which point 93% of a person’s brain size is attained) can have detrimental effects on brain development and cognitive reserve as there will be a reduced rate of active glial cell multiplication, myelination, reduce growth of neuronal dendritic trees and their accompanying synaptic connectivity. Similarly, Poranen-Clark et al. (2015) found that there is a lineal relationship between early motor development, associated with maturation of neural circuits, and cognitive functioning in older age. They suggested that “faster growth of the brain and central nervous system resulting in earlier motor development in infancy may have far-reaching effects on cognitive reserve capacity in older age” (p. 5). Following the theme of Reablement of the IFA 2015 Copenhagen Summit, the concept of cognitive reserve and interventions to maintain and increase cognitive reserve are important. As a concept, cognitive reserve is important because it is not just relevant to the onset of dementia but also to the natural brain changes older people experience (Opdebeeck, Martyr, & Clare, 2016). While cognitive reserve is a construct that cannot be measured, experiences and activities that are believed to increase cognitive reserve are used as proxies to measure the effect of cognitive reserve on cognitive ageing (Lenehan et al., 2016; Opdebeeck, Martyr, & Clare, 2016; Opdebeeck, Quinn, Nelis, & Clare, 2015). Older adults with a greater cognitive reserve consistently exhibit less cognitive decline and later onset of dementia even when brain scans indicate brain tissue deterioration (Borenstein, Copenhaver, & Mortimer, 2006; Opdebeeck, Martyr, & Clare, 2016; Opdebeeck, Quinn, Nelis, & Clare, 2015; Vance & Crowe, 2006). For instance, in a meta-analysis conducted by Opdebeeck, Martyr, and Clare (2016) (summarizing the relationship between multiple proxy measures of cognitive reserve and performance in different cognitive domains in healthy older people) a positive significant relationship was observed between overall cognitive functioning in older adults and the combined proxy measures of cognitive reserve (educational level, occupational status, and engagement in cognitively stimulating leisure activities). Similarly, Opdebeeck, Quinn, Nelis, and Clare (2015) (in the systematic literature review of the effects of cognitive reserve on older adults who suffered from depression or other mood disorders) identified that cognitive reserve was beneficial. The authors noted that, according to the literature reviewed, depression was associated with poor cognitive functioning in those individuals with lower cognitive reserve. However, there was no association between depression and cognition in those with higher cognitive reserve only. This suggests that people with low levels of cognitive reserve are more vulnerable to the effects of risk factors, in this case mood problems, on cognition. Addressing and implementing the various protective factors that maintain and increase older people’s cognitive reserve and addressing and mitigating the risk factors that decrease cognitive reserve are increasingly being viewed as a strength-based approach to maximize cognitive function, rather than a belated response to severe cognitive pathologies. This approach enables older people to maximize their capacity and capability to live autonomously in their communities and environments (Blazer, Yaffe, & Liverman, 2015). Furthermore, evidence suggests that increasing cognitive reserve in older adults produces long-term effects and not just short-term stimulus associations (Yaffe et al., 2009). Opdebeeck, Quinn, Nelis, and Clare (2015), in a recent systematic literature review reported that older adults who engaged in activities that increased cognitive function (e.g. education, more frequent religious attendance, and so forth) demonstrated better cognitive function regardless of depression levels. Similarly, in a study conducted by Lenehan et al. (2016) (which examined the potential of university education in later life to reduce cognitive ageing) the majority of participants who attended university had an increased cognitive reserve resulting in stronger cognitive function. Although there is significant evidence of the positive effects of cognitive reserve on cognitive ageing, initiatives that directly and purposefully stimulate the maintenance or growth of cognitive reserve are still limited. Borenstein, A. R., Copenhaver, C. I., & Mortimer, J. A. (2006). Early-life risk factors for Alzheimer disease. Alzheimer Disease & Associated Disorder, 20(1), 63–72. Corsentino, E., Collins, N., Sachs-Ericsson, N., & Blazer, D. G. (2009). Religious attendance reduces cognitive decline among older women with high levels of depressive symptoms. Journals of Gerontology, 64(12), 1283–1289. Gonzalez, H. M., Tarraf, W., Bowen, M. E., Johnson – Jennings, M. D., & Fisher, G. G. (2013). What do parents have to do with my cognitive reserve? Life course perspective on twelve-year cognitive decline. Neuroepidemiology, 41, 101–109. Lenehan, M. E., Summers, M. J., Saunders, N. L., Summers, J. J., Ward, D. D., Ritchie, K., & Vickeers, J. C. (2016). Sending your grandparents to university increases cognitive reserve: The Tasmanian brain project. Neuropsychology, 30(5), 525–531. Mukamal, K. J., Kuller, L. H., Fitzpatrick, A. L., Longstreth, W. T., Mittleman, M. A., & Siscovick, D. (2003). Prospective study of alcohol consumption and risk of dementia in older adults. The Journal of the American Medical Association, 289(11), 1405–1413. Opdebeeck, C., Martyr, A., & Clare, L. (2016). Cognitive reserve and cognitive function in healthy older people: A meta-analysis. Aging, Neuropsychology, and Cognition, 23(1), 40–60. Opdebeeck, C., Quinn, C., Nelis, S. M., & Clare, L. (2015). Does cognitive reserve moderate the association between mood and cognition? A systematic review. Review in Clinical Gerontology, 25(3), 181–193. Poranen-Clark, T., von Bonsdorff, M. B., Lahti, J., Räikköne, K., Osmond, C., Rantanen, T., … Eriksson, J. G. (2015). Infant motor development and cognitive performance in early age: The Helsinki birth cohort study. AGE, 37(44), 1–8. Rebok, G. W., K Ball, L Guey, R. N. Jones, H. Kim, J King, M Marsiske, et al. “Ten-Year Effects of the Advanced Cognitive Training for Independent and Vital Elderly Cognitive Training Trial on Cognition and Everyday Functioning in Older Adults.” Journal of the American Geriatrics Society, no. 62 (16-24): 1. Sanderman, R., & Sanderman, D. (2000). “Impoverished” and “enriched” living conditions influence the proliferation and survival of neurons in crayfish brain. Journal of Neurobiology, 45(4), 215–226. Stern, Y. “What Is Cognitive Reserve? Theory and Research Application of the Reserve Concept.” Journal of the International Neuropsychological Society 8 (2002): 448–60. Vance, D. E., & Crowe, M. (2006). 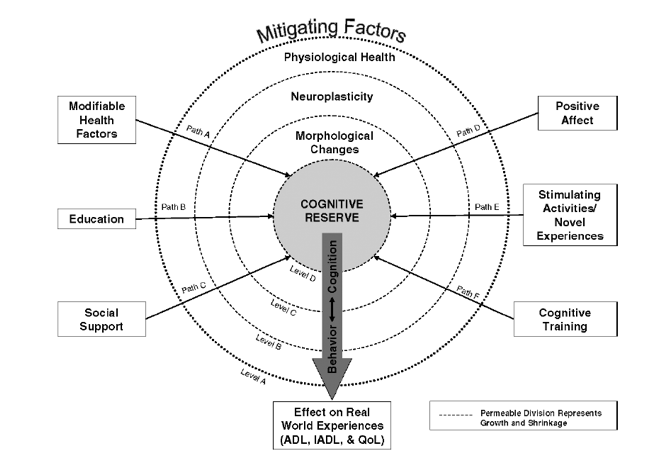 A proposed model of neuroplasticity and cognitive reserve in older adults. Activities, Adaptation & Aging, 30(3), 61–79. Yaffe, K., Fiocco, A. J., Lindquist, K., Vittinghoff, E., Simonsick, E. M., Newman, A. B., … Harris, T. B. (2009). Predictors of maintaining cognitive function in older adults. The Health ABC Study. Neurology, 72, 2029–2035.